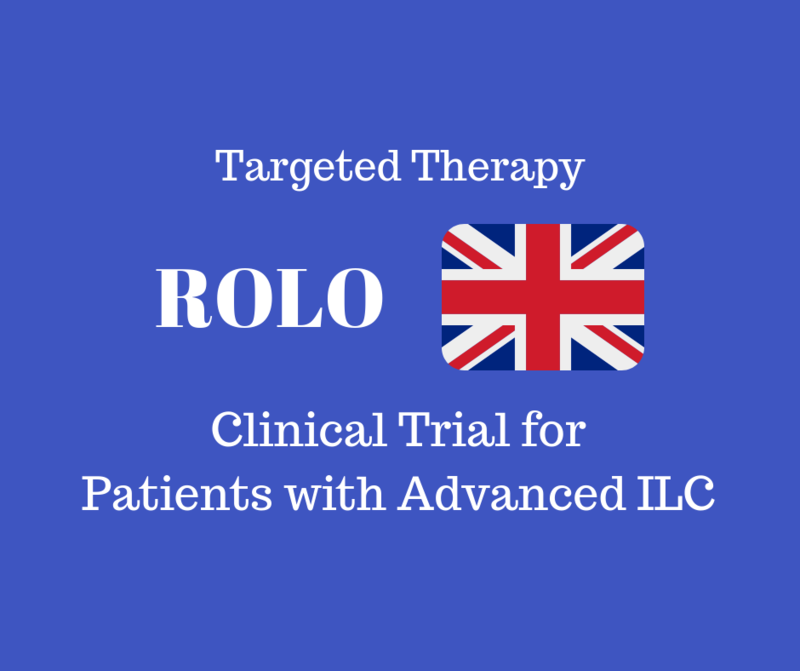 The ROLO trial is a targeted therapy clinical trial in the United Kingdom for patients with advanced or metastatic lobular breast cancer. Summary: The ROLO trial will test the effectiveness of Crizotinib combined with the drug Fulvestrant in patients with E-cadherin defective, ER+ advanced or metastatic lobular breast cancer. Crizotinib is manufactured by Pfizer and already approved by the FDA to treat a type of lung cancer. Why is this Trial Important: This trial will test whether an existing FDA approved drug will be an effective targeted therapy for Lobular Breast Cancer. Background: This trial will test whether Crizotinib can target an alteration in the CDH1 gene that is commonly seen in lobular breast cancer. The defect in the CDH1 gene causes a loss of a protein called E-cadherin, which then allows lobular breast cancer cells to grow abnormally. Cells with defective CDH1 genes can continue to survive, but not when a protein called ROS-1 is defective or missing. Cells cannot survive when both E-cadherin and ROS-1 are not functional. Crizotinib acts to inactivate ROS-1. In cells in the laboratory, Crizotinib inactivated ROS-1 and killed E-cadherin defective cells. The ROLO trial will test if the same effect is seen in humans.